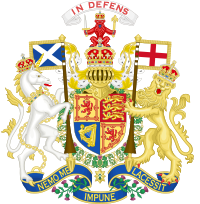 Queen Victoria was the monarch of the United Kingdom of Great Britain and Ireland and of the British Empire from 20 June 1837 until her death on 22 January 1901. 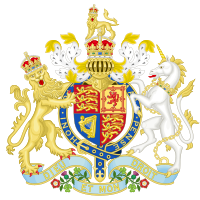 At the start of her reign, responsible government outside of the United Kingdom itself was unknown, but starting in the 1840s this would change. During her reign Victoria was served by well over 33 Prime Ministers: 15 from New Zealand, 10 from the United Kingdom, 7 from the Dominion of Canada and 1 from Australia. MS Queen Victoria (QV) is a Vista-class cruise ship operated by the Cunard Line and is named after the British Monarch Queen Victoria. Queen Victoria is of the same basic design as other Vista-class cruise ships including Queen Elizabeth. The external and internal designs are more in keeping with Cunard's style, and at 90,049 GT it is the smallest of Cunard's ships in operation. Queen Victoria's facilities include seven restaurants, thirteen bars, three swimming pools, a ballroom, and a theatre. Queen Victoria died at Osborne House in January 1901. Following her death, the house became surplus to royal requirements and was given to the state, with a few rooms being retained as a private museum to Queen Victoria. From 1903 until 1921 it was used as a junior officer training college for the Royal Navy, known as the Royal Naval College, Osborne. In 1998 training programmes consolidated at the Britannia Royal Naval College, now at Dartmouth, thus vacating Osborne House. The House is now open to the public for tours. The Queen Victoria Building (abbreviated as the QVB) is a heritage-listed late-nineteenth-century building designed by the architect George McRae located at 429-481 George Street in the Sydney central business district, in the Australian state of New South Wales. The Romanesque Revival building was constructed between 1893 and 1898 and is 30 metres (98 ft) wide by 190 metres (620 ft) long. The domes were built by Ritchie Brothers a steel and metal company that also built trains, trams and farm equipment. The building fills a city block bounded by George, Market, York and Druitt Streets. Designed as a marketplace, it was used for a variety of other purposes, underwent remodelling and suffered decay until its restoration and return to its original use in the late twentieth century. The property is owned by the City of Sydney and was added to the New South Wales State Heritage Register on 5 March 2010. The Queen Victoria Gardens are Melbourne's memorial to Queen Victoria. Located on 4.8 hectares (12 acres) opposite the Victorian Arts Centre and National Gallery of Victoria, bounded by St Kilda Road, Alexandra Avenue and Linlithgow Avenue. Queen Victoria's reign started in 1837, two years after the initial European settlement of Melbourne, and upon her death in 1901 it was thought appropriate to declare an enduring monument to her reign. A memorial statue was commissioned from sculptor James White showing the Queen in ceremonial gowns casting her regal gaze across ornamental lakes, sweeping lawns and rose gardens to the Melbourne Arts Centre Spire and the city skyscrapers. The Queen Victoria Market (also known locally as Vic Market or Queen Vic) is a major landmark in Melbourne, Australia, and at around seven hectares (17 acres) is the largest open air market in the Southern Hemisphere. The Queen Victoria Market is the largest and most intact surviving 19th century market in the city. The Melbourne central business district once hosted three major markets, but two of them, the Eastern Market and Western Market, both opened before the Queen Victoria, and were both closed and demolished in the 1960s. Other historic markets survive in Melbourne, such as the inner suburban Prahran Market and South Melbourne Market, though only Prahran has any early buildings. The Queen Victoria Market is historically, architecturally and socially significant and has been listed on the Victorian Heritage Register. It has become an increasingly important tourist attraction in the city of Melbourne. Queen Victoria Village, generally known as QV Melbourne or just QV, is a precinct in the central business district of Melbourne, Victoria, Australia. Covering the city block bounded by Lonsdale, Little Lonsdale, Swanston, and Russell Streets, and located directly opposite the State Library of Victoria and Melbourne Central, QV comprises a large shopping centre, a central plaza, an underground food court, Melbourne central city's first full-size supermarket and apartment buildings. QV takes its name from the Queen Victoria Hospital, Melbourne which formerly occupied the site. The Queen Victoria (more often referred to as The Queen Vic or The Vic) is the Victorian public house in the BBC soap opera, EastEnders. It has the fictional address of 46 Albert Square, Walford, London E20. Victoria Eugenie of Battenberg (Victoria Eugenie Julia Ena; 24 October 1887 – 15 April 1969) was Queen of Spain as the wife of King Alfonso XIII.